Grimo Nut Nursery has 45 years experience growing and selling hazelnut trees. We are the only nursery in Ontario with the vast knowledge to guide you to plant the best selections to grow a profitable hazelnut orchard. Ernie and Linda have a reputation of honesty and proudly produce high quality orchard ready clonal hazel trees. All our recommendations are based on validated research done at our farm, at the University of Guelph's Simcoe research station, PEI Soil and Crop research programs, and from the hazelnut breeding programs at Oregon State University and Rutgers University. Hazelnut orchards can last 50-75 years - Grimo Nut Nursery will make sure you start with the best trees for your location and we guarantee they are true to name. We provide our growers with field layouts, consultation before and after planting, and yearly updates on research and market development. Farmers can trust Ernie and Linda to provide the best trees and guidance to get your orchard growing. Does our website say we are SOLD OUT? Contact us to confirm...we might have what you need. Our trees are grown from layers and/or cuttings. We grow them naturally in nursery rows where they have room to expand their root systems in natural soil, unrestricted.They have become adjusted to natural outdoor wind and rain conditions and when they are planted in bare root format, they quickly adapt in your field. It has been found that our bare root trees grow well, handle stress and bear early. Please see our list of cultivars to plant in an orchard setting. 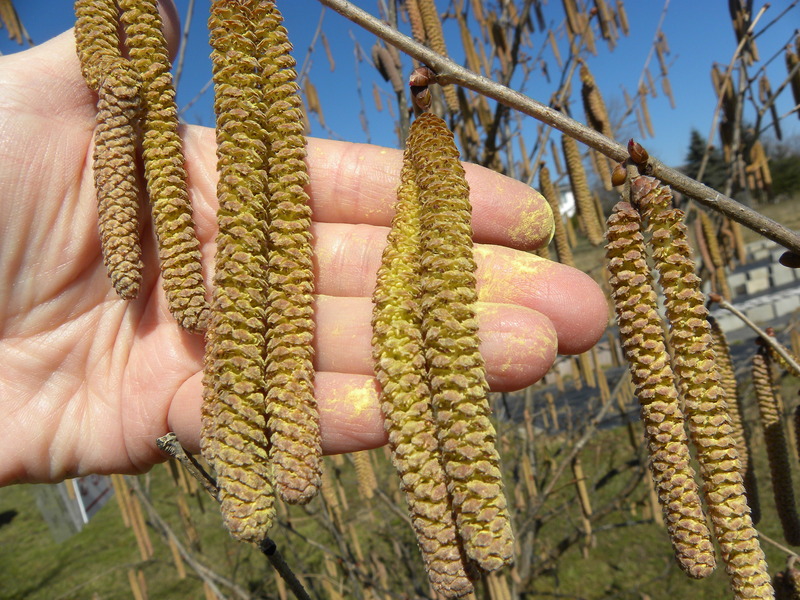 Please note that in zones 5b, 6 and 7 it is not acceptable to plant seedling trees and you, as the grower must ensure you do not plant seedling hazel nut trees or the nuts will be variable in quality and will not be approved or purchased by aggregators. In zones 3, 4 and 5a we are still working with researchers and breeders to select the best, most hardy cultivars for those zones and some northern hazel seedlings are acceptable in your orchard. Special discounts are subject to change. Farmers who order from us will benefit from our more than 46 years of experience and our dedication to you as a grower. At Grimo Nut Nursery Ernie has been breeding hazelnuts for over 45 years in search of the tree that produces the best nut, is disease resistant and hardy. 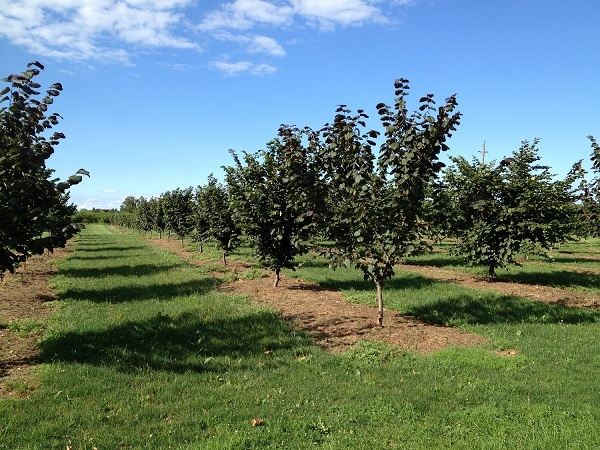 The selections from our orchards have proven to be be EFB resistant, even under Tom Molnar's high blight pressure at Rutgers University. We are pleased to share this experience and knowledge with our clients to help prepare them for growing hazelnuts. Farmers can trust our guidance as they begin their venture in hazelnut growing. Ernie and Linda attend yearly conferences networking and learning from the best researchers in North America. They are eager to learn as much as they can to share this knowledge with their growers. Here are some pictures of the different types of equipment growers in Chile and Oregon use as well as an aggregators huge hazelnut dryers.